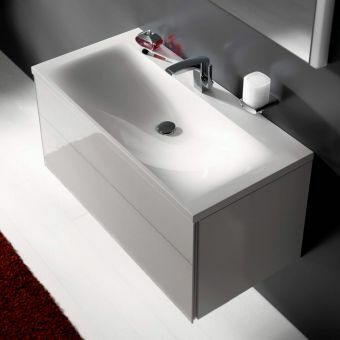 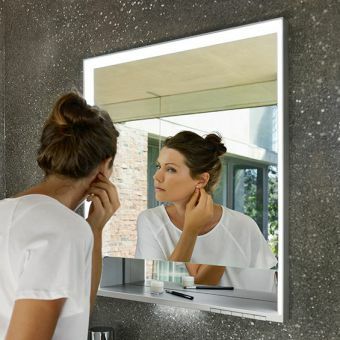 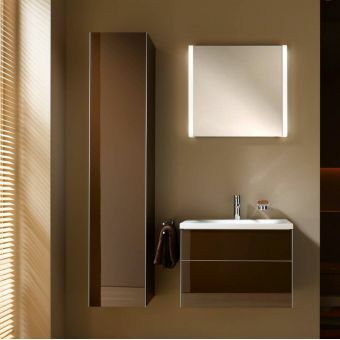 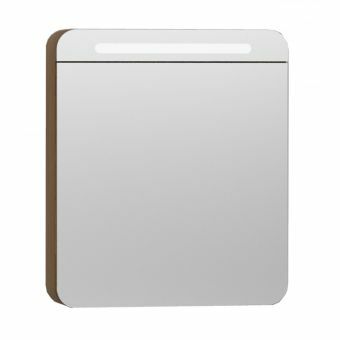 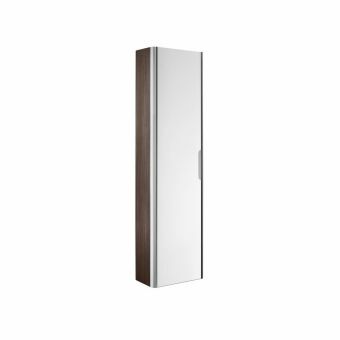 A single, double or triple door cabinet, mirrored both inside and out, this sleek unit from Keuco's Royal Reflex range is an obvious choice for the contemporary bathroom themed around modern materials and a slick, minimalist form. 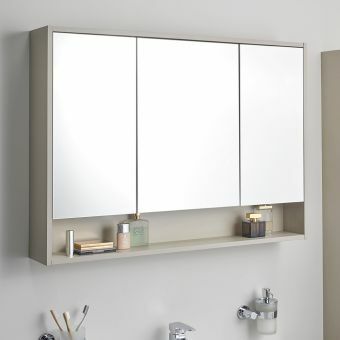 Thes spacious mirror cabinets provide plenty of storage space and can fit into most family sized bathrooms. 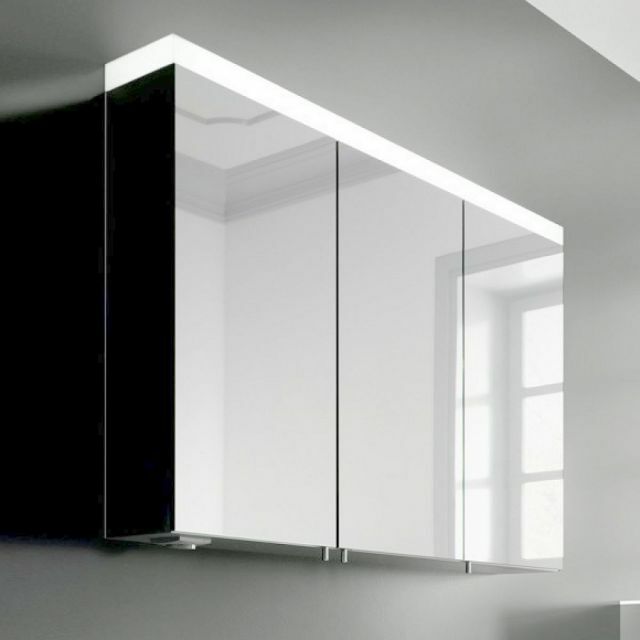 The theme of modern materials and a strong, cubist form is present throughout, with mirrored exteriors and three adjustable glass shelves inside. 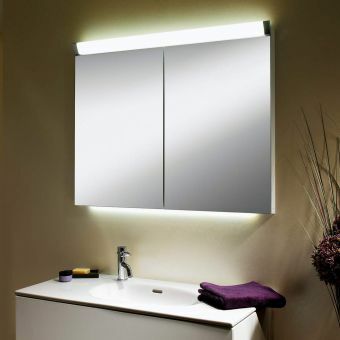 To provide just the right level of ambient lighting, 18 Watt fluorescent strips illuminate the piece from above via a single pull cord. 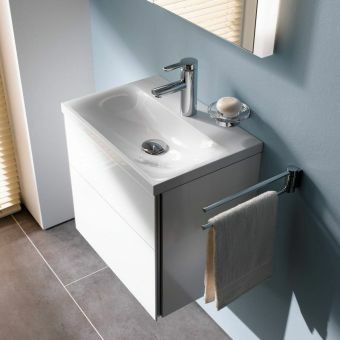 A handy shaver socket is included for extra convenience. 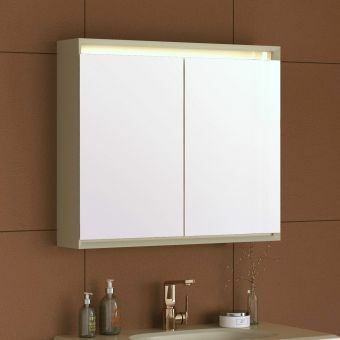 Available in left and right-hand opening options, this stylish cabinet can fit in with your particular bathroom layout. 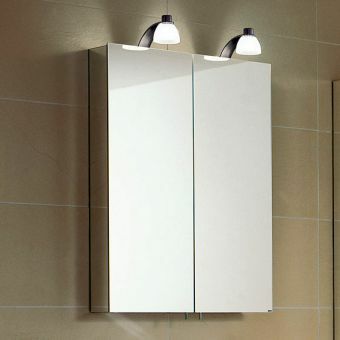 Rated IP X4 for safe inclusion in the bathroom, Zone 2 and 3.